Synthetic intelligence models are highly relevant to the fast growing field of social robotics. Robots interacting with humans in the context of a non-lab environment are being upgraded at a fast pace in order to meet social expectations. 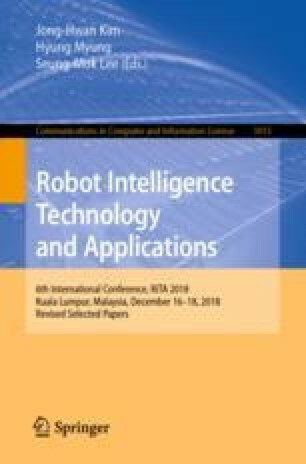 To foster the integration in human societies, and hence coping with expectations, robots are likely to be endowed with typically human attributes, such as synthetic personality. Such social personality is the result of the interaction of a number of systems, some of high complexity, and can be thought of as a network of dynamic systems. The paper addresses the relations between frameworks consistent with synthetic intelligence models from Psychology, and models of networks with nonsmooth dynamics and consensus problems. The goals are (i) to achieve a framework that can establish bridges between architectures including concepts from social sciences and concepts from nonsmooth dynamic systems, and (ii) to determine the basic properties for such framework. Basic continuity and convexity properties are shown to be at the core of the framework. Work supported by projects FP7-ICT-9-2011-601033-MOnarCH and FCT [UID/EEA/50009/2013].